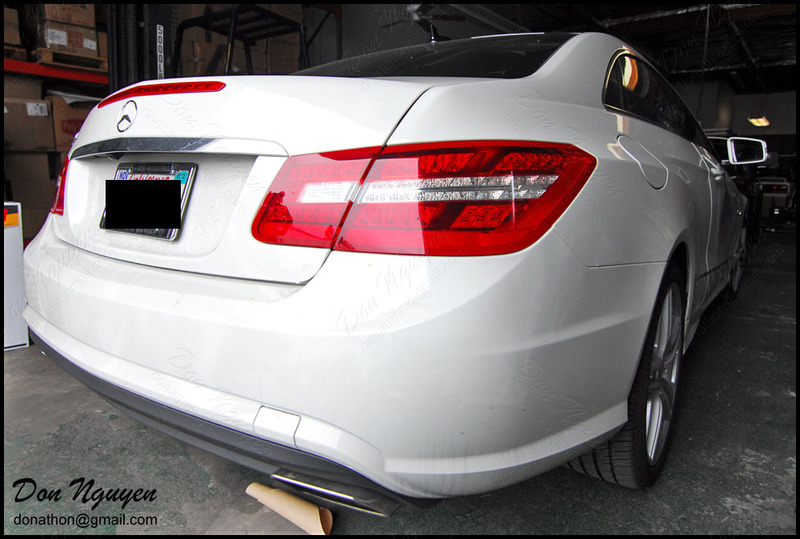 The owner of this white Mercedes E550 coupe contacted me to lightly tint / smoke the tail lights on their car. The owner of this car was also from Orange County and came over to my shop in Anaheim Hills to get the work done. This is the new shade that I am using for tail lights, which give a very light factory smoke look. I tried to take some more before/after pictures so you guys can better see/visualize the differences and how this shade of smoke / tint looks like. I am not really into blacking out tail lights or dark tail lights, so this shade is perfect to me imo.